and some good step by step tutorial shots as well. I couldn't find buttons that I loved, and when I went to the Scrapbooking Expo, here in Sandy, a few weekends back, I saw these... and KNEW they would work great! So I was left with JUST the tops, and flat bottoms. I bought a pack of these headbands at Walmart for about $4.00. Picked up some cute fabric, at my local fabric store, and cut out circles about 3 inches or so across. Really... they don't have to be perfect. Just get CLOSE to a circle shape. lol. I actually used ONE guide circle, set it on top of about 6 squares of fabric, and cut out 6 at a time. Next, I just folded the circle in half... so it looked like a taco. Then I folded in ONE corner to the center one way... and the other corner, the opposite direction, the OTHER way... to make this shape, here. Kind of a "2 cone" shape. then I just hot glued the folds at the bottom, to keep it together. Make a bunch of those. Then cut out a piece of felt... and glue them on like so. Making sure your largest circle petals are in the back. Then layer on the smaller petals. Just hot gluing them onto the other ones, at the base. You don't want TOO much glue, or the ends or the petals won't be fluffy and full. It will look like this from the back, when you're done. hot glue the brad, button, or jewel in the center. Next, I took my headband, and glued a piece of felt on the back side, like this. to make sure the flower had a good base, and wouldn't fall off. When you've finished, this is what it will look like! Okay... So, I've totally turned into "one of those mothers" who I used to make fun of... who's girls would wear these JUMBO bows and flowers. LOL. I KNOW!!!! I am WELL aware. lol. I feel like they can totally get away with it, now ?????? I just put a piece of felt on the back, and used some safety pins to adhere them on, for the shoot. And also, how I made THESE yellow hair clips for Aubrie's pig tails. because I KNEW she wouldn't keep a headband in! I didn't like the color of the actual headband, so I just wrapped some grey fabric around the whole thing... and hot glued it a bit as I went. Don't you just love all the ruffle layers!? So girly, right!? Easy, Inexpensive, and SO fun! Speaking of fun!? Um... did you checkout Laci's segment today? "Top 10 photo color walls for Fall, in Utah!" LOL. I love that she shares all this fab info with us, don't you!? 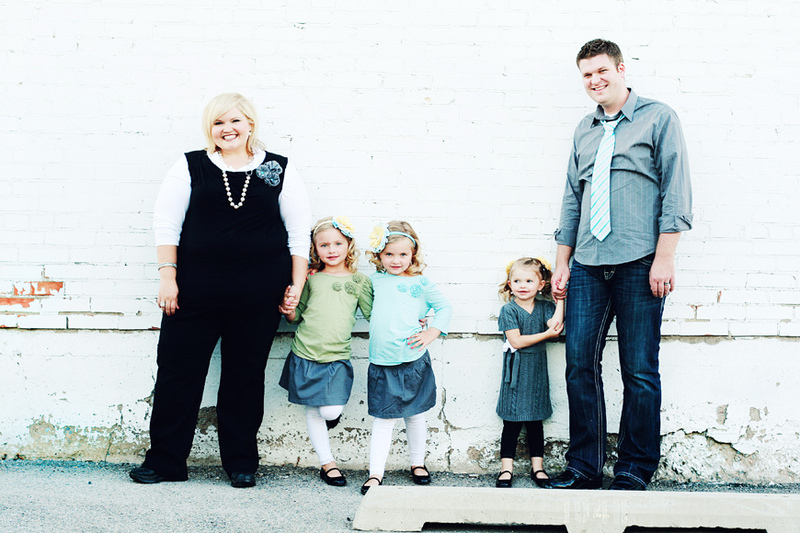 and a sneak peek at our family shoot, below. Click through from your reader to view video or go HERE. Wow these are adorable and you didn't even get out a needle and thread! I can't wait to whip up a couple of these for myself and little ladies! Your family pictures are so beautiful. Keep up the inspiring blogging. Those are absolutely adorable! Your girls look precious in them. Thanks for sharing! Those are SOOO adorable!! ♥ them! Adorable family. Adorable bows. You're adorable! Okay, these are fabulous and I am going to try making some today, thanks so much for the inspiration! Love the bows!!! I might just run out to JoAnn today to get some cute fabric to make mine because I can't sew too well, but I can rock a glue gun for sure. I love your family pics and I'm so jealous I live on the other side of the country away from your photographer! Her color wall segment was amazing! way way cute. Those cheap headbands are my girls' favorite - no pokey teeth, etc. And best of all - I found some at the Dollar Store, 6 in a pack, all for $1. Great family shot!! Beautiful pictures! Where did you find the shirts for your twins? these are awesome! i can't wait to try them!! Cute, cute! Can't wait to see more. The flowers look super easy to make and are so fun! You are one gorgeous girl - look at those hot mama pictures of you! I love the picture of your twins. I am a twin myself and it reminded me of how much fun it was growing up with my twin. Thank you for sharing. Gorgeous photos of your family. Woot woot! Thanks for the tut I am totally making me a new camera strap slip cover and these will look sooo cute on it! 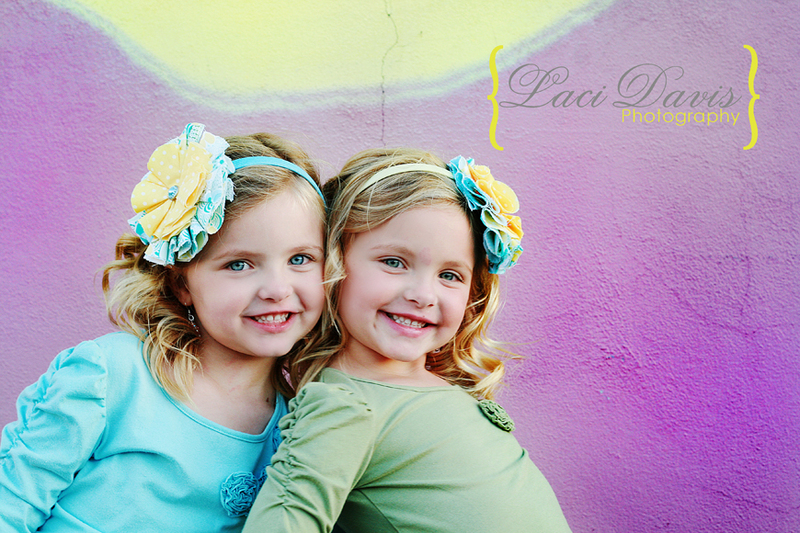 Love the flower, great work but those girls... they are adorable, big flowers and all! Laci is a dead ringer for BETTY DRAPER (January Jones) from MADMEN! So adorable! I have some really cute fabric I may have to take a shot at making those with. I love them Shelley. They look easy enough for me. Also what can I say you have an adorable adorable family. I just want to hug you all. Thanks for sharing the flowers I am def going to be making some. Love ya. GREAT tutorial!!! 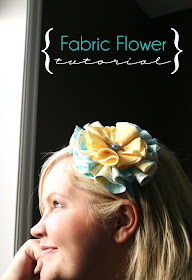 I love those fabric flowers, and have been trying to find a good tutorial that I could follow. This is the one. ;) Thank you so much!! What a beautiful family, you can really tell you are all happy! I love that in photos! Thanks for the tutorial also! I love your blog! I love these flowers, yours turned out SO cute! I love your family pics too, your little girls are the cutest! I made some of these, and they turned out GREAT! We'll be making these at an upcoming Super Saturday. Thanks so much for the idea!! I just made some of these, and they turned out GREAT! We will be making these at an upcoming Super Saturday. Thanks so much for the idea!! Love the bow! I did not have any fabric in my house but was dying to try one of these. So I used my daughter's old PJ's that I was going to send to Goodwill. Turned out great! I LOVE this tutorial! 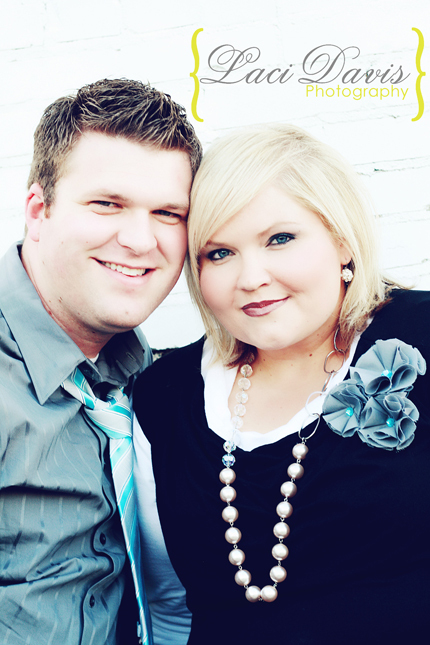 Actually I love your whole blog! But especially this tut! I made some flowers for myself for our family pictures & I am so proud of myself! They turned out adorable! I'm kind of addicted now! I want to make tons!!! I have twin 2 year old boys & another little boy due in 2 months. So I needed some girly action in that picture! Thank you so much! :) You're awesome!!! P.S. I have seen other tutorials on the fabric bow but this is by far the cutest and EASIEST one, I am on my way to making some. Thank you and God bless you and your precious family! I love your site!!! I just found it and I want to make EVERYTHING! Thank you so much for sharing your wonderful ideas! My word, you are a cute lil family! Thanks for the tutorial...that rocks! I used to be one of those make-fun-of-flowers-the-size-of-a-child's-head mother's too! And now, I can't get enough of them! Thank you so much for this tutorial. I will definitely be putting it to use. I love these...I want to make them for my girls for pictures next week. How big of circles did you make to do the big ones your girls are wearing?? I want them to be kind of big. Thanks! I am sooooo confused on this.I am doing what you said in the tutorial but mine are looking nothing like yours.Mine kind of have a straight bottom where as yours are pointed.Can you help me out a little please lol? Thanks for sharing! Love it! Your girls are the cutest models! I made five of these fabric flowers last night and they turned out amazing. My daughter is turning one in a few weeks so I made each of her cousins headbands for their party favor bags and the grandmas are getting fabric pins (this will be a fun twist on our tradition of giving grandmas corsages to wear at birthday parties). Thanks for the idea. THANK YOU, thank you, I have arthritis in my hands so rolling a fabric flower was difficult for me, this will work much better!! So creative and cute! With your permission I am linking this to my blog. I am using the Watercan with yellow flower picture, all will link back here. Thank you! Adorable and so easy! I've made a few flowers and headbands, but nothing compared to what you have done. Your style is cute. I found you at Healthy Wealthy Mom's blog. She mentioned your blog. I'm your newest follower! Thank you for this...I have just made one for a friend's daughter :). I have linked you back on my blog for the tutorial - hope this is ok.
GREAT tutorial!!! I love those fabric flowers, and have been trying to find a good tutorial that I could follow. I just love evrything in here.I´m follower now !!!! Fabulous tutorial! :) I used it for my little girl's 9 month photos. THANKS! This is adorable! I can't wait to try it out. How do you get the headband to stay on with the flower? By the time I get it on the headband it is to heavy and keep falling down when my daughter tilts her head. I love these! What company did you get those adorable brads from? Found your tutorial on pinterest and just made some this afternoon! LOVE them and my girls want me to make more! Thanks for the easy to follow instructions! 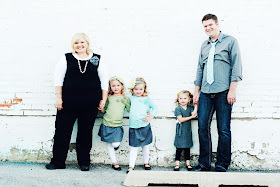 By the way, awesome family pics! OK I just found you threw.. ...living locurto. 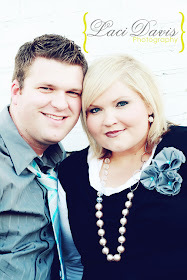 I am a new fan and new to the blog world. I can't believe how great you and your family look on those walls! Cant wait to make a flower for my girls tonight. LOVE hot glue, your my new hot spot! LOVE these! Made some barrettes to match a set of dresses I made for my nieces. Thanks for posting the "how to". I linked it off my blog! Happy Crafting. love the flowers...making pillows and need creative ideals. But,having a problem printing the templates...will not print. Please help me. Love Love Love! I am making one of these for my daughter. She is obsessed with headbands bigger than her head! :) And so am I! Please help....I can't understand how to make the cone shape after the taco step! Wow! Your family pics turned out precious!!! like the tutorial and all the pictures....beautiful. My daughter and I are going to make some of these tonight! =) Very cute! Love these!! Found you on Pinterest-and am excited to pull my fabric scraps out and start making some of these flowers!! I love this tutorial. I've been looking to make some for my 7yr olds shirt to wear at her cousins sweet 16. And may I say, you have a beautiful family. Those are super adorable!!! I have no girls, but am embellishing some monogram letters, and this tutorial helped me out a ton!!! Thank you!!! I am making these for my granddaughter. So easy and pretty. No 2 are alike. Thanks for sharing!!! Found these on Pinterest... Sooo pretty... TFS! Thank you for this WONDERFUL Tutorial! I Love it and i understood everything all though i'm Not too Good in speaking english! All the best from Bavaria in Germany! THANK YOU! My daughter cut a big chunk of her hair off right before a state pageant! Thanks to this tutorial I was able to cover up her mullet! Hopefully the judges love it too! Hi! Just found your blog today and love the flower tutorials. I'm thinking about using these as finishing touches on some hostess gifts I'm working on. I have 15 hostesses though and am clueless about how much fabric to buy. 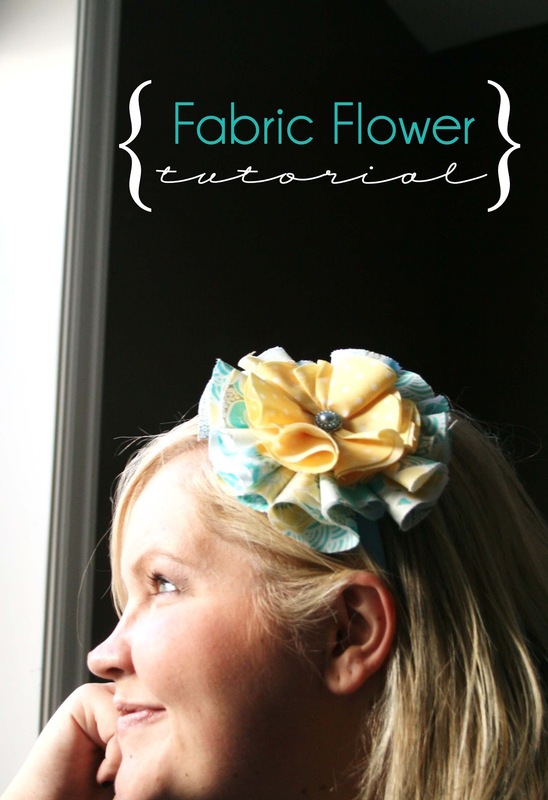 About how much fabric per flower do you use to make one flower? Any help would be appreciated! Thank you! Just found your blog today and love the flower tutorial. I'm thinking of using these as finishing touches for baby shower hostess gifts this weekend, but I don't know how much fabric to buy. I have 15 hostesses... About how much fabric does it take to make each flower? Thank you! I have been following you for a while but somehow missed this! A friend repinned it on Pinterest. Oh my gosh! LOVE! I just made one for my daughter and it is so stinking cute! When I tut up how I made the outfit, I'll link back to this. It's adorable! WOW these flowers are AMAZING!!! Really I sooo love them and the fabric choice totally perfect!!! I went searching for Mother's Day gift idea's and HAD TO MAKE THESE!!! Thanks heaps for the tut!!! Very, very, very cute I am going to make some right now! Thank you and I sooo know what you mean about laughing about the giant bows. My little girl is five now, so I can totally make it gigantic! Super cute! I have two boys so I jever took the time to learn to make cute bows and such but we found out or little peanut due in January is a girl so it is about time to learn so I can do all the cute girlie things craft wise that I havent had a reson to since I have boys and all my relatives have boys! Yes, my brother has a boy, my cousin also has two boys, my brother in law ANDone of my sister in laws both have boys, and NO girls until NOw which everyone is excited about! Just made my first one....Came out beautiful! I've been trying to find something to do with all this extra fabric I had from making some bow boards for my daughter...now she has some wicked cute headbands! Thanks! Thank you so much for sharing with the rest of the world this simple and gorgeous way to make a headband with beautiful flower. I loved it and will make one today and teach my daughter how to make one herself. You have a beautiful family. God bless!